Snow day or shopping day? You choose! Haha. I am not very good at sitting still so we may venture out later if and when the roads clear up a bit....maybe just to get a coffee or a treat! Most of you wanted to see my newest beauty obsessions from my Instagram stories, so here they are! This is what I am using right now on my face! 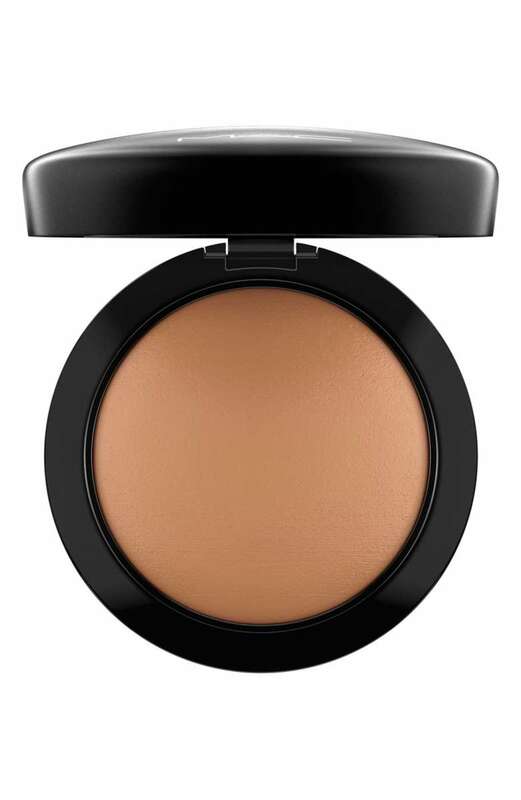 I also love the contour slide from Maskara Beauty in the color Olive, and the eyeshadows: Sabrina and Penny. ( I can't link them but have a gal off you need one). Happy Friday! Whew! I have had a busy week and today I am going to slow down and get a much needed massage. I get a lot of questions about my lip colors and since when I link them on Instagram @ladyandredstyle they are not color specific, which is annoying, so I will lay them all out here! I do own a TON of MAC lipstick but they are not the only lip colors I love and use. So here are my top products I use from just MAC! Happy Shopping! EYELINER- I use the color Graph Black. Always been a black eyeliner gal and this one stays put and is easy to put on. RED LIPSTICK- The color is Viva Glam I. It is my favorite red lipstick and for me it compliments my skin tone and makes my teeth look whiter, which is a total bonus. MINERALIZE SKINFINISH NATURAL- In the color Give Me Sun! I first apply my foundation, then I apply this with an angled brush under my cheek bones (from the corner of my mouth to the top of where my ear is). This creates more of a cheekbone! STUDIO FIX- My color is C3. I put this on after all of my makeup is on as a light powder, and not everyday either, just when I am going out somewhere fancy! Haha It tends to give me more of a flawless finish. So, how you can shop these lip colors is by clicking the BLUE links and then just find that color! Let's move on to the liners! To be honest, I did not start using them until this year when the guy at MAC insisted that I buy one, and boy am I glad he did, It really does make a huge difference! Even just using a liner with a gloss makes a huge difference. EYE PALETTE- Okay, you can say it. I am so basic but I love this eye palette! So there you have it! All of my favorite MAC products. If you have products you love, please share them with me because that is how I find new colors and products to share with everyone too! Even if you are a no makeup kinda gal, lipcolor can do BIG things for you! XO Cheers friends! Sooooo I am NOT a beauty blogger nor and I a professional makeup artist so please please understand when I tell you I have no rhyme or reason for picking these products, I just use them and love them! These are my go to's and if I am traveling, these come with me.